Have you ever asked yourself a question: Which shopping cart can fit my business best? More that 250 000 merchants all over the world have the same question and the answer is Magento. Not so far ago, this vendor has provided 3 variants of its platform. But 1 February, 2015 is going to be a breaking point - Magento Go, SaaS version of this shopping cart will be closed. Luckily, merchants still have enough time to migrate from Magento Go to Magento and get a new impulse for their business. Let’s take a little bit deeper look through the main differences of these solutions. 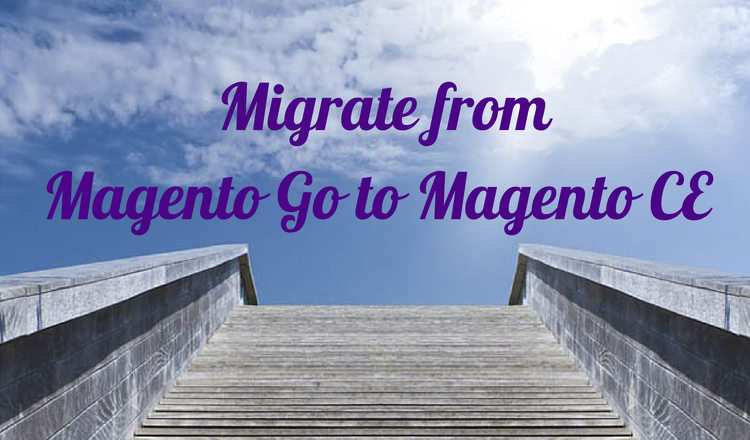 At first, Magento Go is a hosted solution, while Magneto CE is self-hosted open source software. What does it mean for merchants? They have to choose server, domain name and take care about shopping cart installation. From the other hand, if you’ve got used to the Go monthly fee, Community Edition will cost you less and not so often. Moreover, if you are not skilled enough to cope with Magento CE core code, a programmer will help to manage your store. Moreover, downloadable version of the shopping cart is much more flexible in areas of design and functionality. Simply choose one of pre-built and mobile responsive design template to make your store look perfect. Then select extensions, that will help you to cope with your store, customers and sales better. In addition the majority of Magento Go extensions and templates are supported by Magento CE. That is why you and your customers may not feel the difference after migration at all. If you are looking forward to migrate from Magento Go to Magento CE look at the infographic below. It highlights the peculiarities of both platforms and describes the easiest way to migrate your data. Now you know the main reasons and the easiest way to move from Go to Community with no technical skills needed. Don’t waste your time, register now and start an effortless data migration right away.